Four Seasons Florists Aberdeen have been providing local customers as well as those living in other parts of the North East of Scotland with gorgeous floral designs for over forty years. The Aberdeen flower shop is located at 177 Rosemount Place. However, no matter where you need your flowers delivered to, Four Seasons Florists will be able to deliver your flowers personally throughout the North East of Scotland and also throughout the UK. This means that we can deliver locally, nationwide as well as internationally. 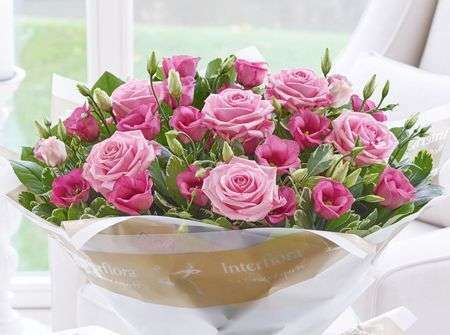 You are able to contact Four Seasons Florists Aberdeen either by phone, 01224633968, or email, flowers@fourseasonsaberdeen.co.uk, in regards to any queries you might have as there is always a friendly member of staff readily available to answer all of your questions. The florists who work here are all trained in the art of floristry, particularly the senior florists Ina Selke and Lisa Watt who have many years of experience as well as the junior florists who all have art related degrees. Phyl Bruce, the owner of Four Seasons Florists, is always keen to ensure her staff is up-to-date with the most modern, floristry trends. 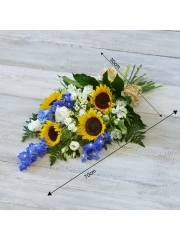 This means they are able to apply their skill, creativity and unique style to your orders, so you can be certain in the knowledge that you will receive a skilfully arranged and unique arrangement or bouquet. Both Lisa and Ina have years of experience when it comes to your flower orders - in particular, they have catered for many large scale occasions such as weddings and funerals - so, if you wish, you are able to book an in-store consultation. This enables you to discuss in person what sort of flowers you are after and are able to browse through albums which contain pictures of previous floral designs for weddings, funerals and any other occasion you might have in mind. The Aberdeen florists work ethos at Four Seasons Florists Aberdeen places you, the customer, as the number one priority which is why everyone here does their absolute hardest to provide you with the best quality service. The florists Aberdeen work with flowers of the best quality provided by several suppliers who deliver to the shop over four times a week to ensure not only quality but freshness. Four Seasons Florists Aberdeen always have a huge array of flowers in stock - ranging in colour, type and size - which enables the florists to create lovely arrangements and bouquets for all occasions. 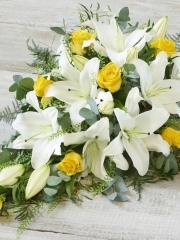 Aberdeen florists are able to craft lovely floral designs for occasions such as birthdays all the way to anniversaries as well as get-well-soon arrangements and sympathy flowers amongst many other events. In addition to providing customers with gorgeous flowers, we currently supply many hotels and businesses in Aberdeen, as well as the surrounding area, with corporate flowers. You are able to browse through different categories on our website to see if anything catches your eye. We are aware that not everyone will find something fully to their liking which is why the bespoke service is available at Four Seasons Florists Aberdeen. This service enables you to work with the Aberdeen florists to create the perfect arrangement or bouquet for your recipient which they will surely love as it has been fully tailored to their personal tastes. We are incredibly proud to be able to offer customers not only local, national and international deliveries but Four Seasons Florists Aberdeen also provide customers with different delivery services. The importance of a reliable delivery service is appreciated by the team here which is why we employ reliable delivery drivers who are efficient yet careful on the road to make sure your flowers aren’t damaged. 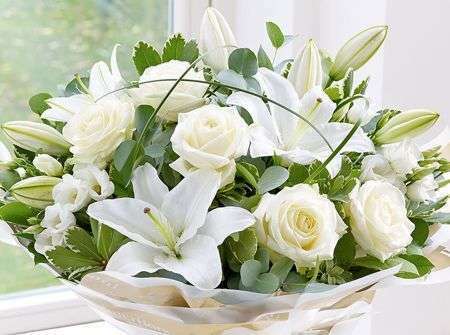 If there is no-one at home to receive the flowers and there are no neighbours available at the time, the flowers are returned to the store and redelivered for you. You are able to select from three different services which include the standard, same day and next day flower delivery services. All of these are available six days a week, Monday to Saturday, between the opening hours of 9AM and 5.30PM. The same day flower delivery service is particularly handy as it allows you to place your order on the day of the delivery. 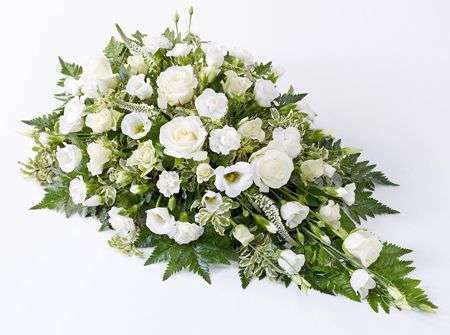 If you wish to use the same day flower delivery for Aberdeen, please note that your order must be placed before 3PM in order to give the Aberdeen florists enough time to arrange your flowers to our high standard. Phyl Bruce is the florist in charge of all the wedding arrangements as she has the most experience and approaches all work with professionalism. 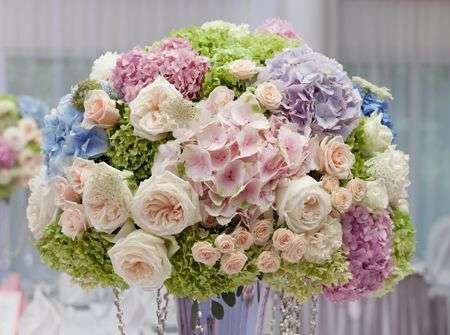 She wants nothing more other than to provide you with the most visually stunning wedding flowers possible. Up on the website, you are able to browse through the different wedding flower collections - ranging from passionate reds to elegant whites - as well as the exclusive Vera Wang collections which we are very proud to be able to offer customers. There are simply so many factors to consider when choosing wedding flowers which is why a one-on-one consultation might be best as you are able to specify exactly what you are looking for. 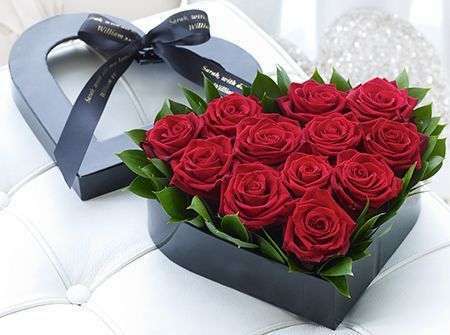 When it comes to our deliveries, Four Seasons Florists not only deliver gorgeous flowers but we can also delivery gifts which are part of the gifts range on offer here. 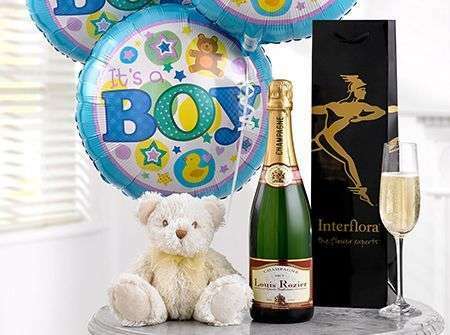 This gifts range includes scrumptious chocolate truffles; adorable and fluffily teddy bears in a variety of sizes as well as colours; the Aberdeen florists arrange fruit basket in varying sizes, on the day in the shop with fresh and sumptuous fruits; helium filled balloons which can also be arranged into balloon bouquets if you so wish it. The balloon bouquets usually consist of three blank balloons and three with a fitting message for your special occasion such as ‘Congratulations!’. Additionally, Four Seasons Florists Aberdeen are licensed to deliver champagnes and wines - including red, rose and white - which are the perfect celebratory beverages. Our main goal here is to provide customers with an exceptional service which takes care of everything on your behalf so you do not have to stress or worry once your order has been placed. 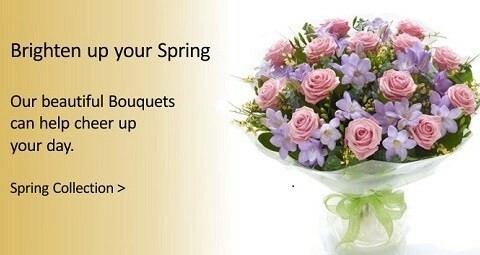 Four Seasons Florists Aberdeen are able to personally deliver anywhere in the North East of Scotland within a 50 mile radius of the city so even if your delivery address is in a particularly rural area, we are able to ensure your orders are delivered. We have three delivery drivers who are experienced and knowledgeable when it comes to the areas surrounding Aberdeen so you can be rest assured that your orders will be delivered efficiently like all other orders. We are able to personally deliver to areas such as Ellon, Cults, Westhill, Dyce and Bieldside as well as others. No matter where it is you’re looking to have your flowers delivered, Four Seasons Florists Aberdeen will do our absolute best to accommodate to your needs and have your orders delivered to your desired address.